Portable speakers have been around for some time now, and have primarily been a novel way to listen to music, whether connected to your personal computer, laptop, smartphone or other mobile device. However, being able to move it around wirelessly has obvious advantages. Meanwhile, effective technology to do so has been quite expensive for the mass market, whether the business professional who uses one for telecommunication or someone who just wants to enjoy music in their free time. So far, an effective microphone on a durable and attractive mobile speaker system has also been more of a luxury, especially since the most valuable aspect is the sound output. 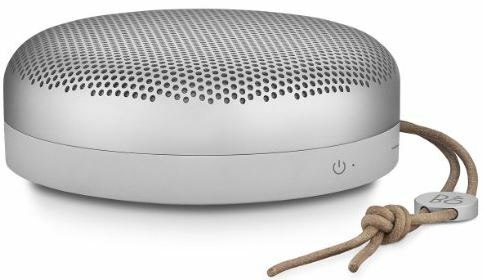 B&O PLAY (Bang & Olufsen) is a company that has solidified its presence as a high quality speaker manufacturer that brings vibrant, clear and robust sound technology to the consumer market and have also brought some unique innovations to the new B&O PLAY A1. We’re going to cover the advantages and overall qualities of this portable wireless speaker, of which there are many, to provide you with an accurate overview of its value. Included in our analysis of the A1’s overall durability and ease of use, we’re also going to be taking a critical look at its structural integrity as well as the wireless features, such as Bluetooth and the complementary smart app for compatibility and ease of use. When it comes to style and effectiveness in terms of industrial design, the work of a professional is stunningly apparent in each individual quality of a product. Cecilie Manz is a well-known and respected designer from Denmark, whose original work has brought overwhelming value to different markets, including glassware, wallpaper, furniture as well as electronics, most notably for comprehensively integrating each of their features. 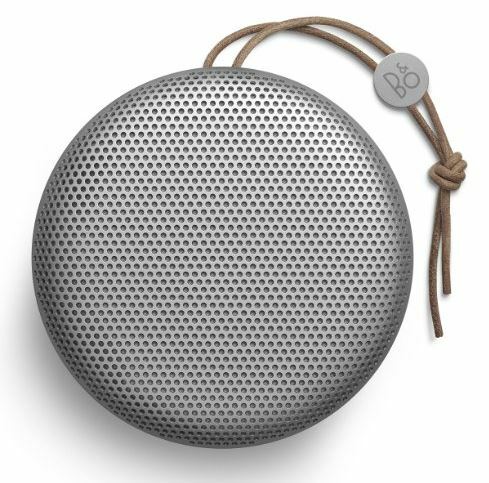 The result with the B&O PLAY A1 is a beautiful dome shaped lightweight aluminum speaker case that’s pleasing to the touch, feeling neither to sturdy and hard, or too soft, with splash- and dust-resistance for outdoor use. Its double molded polymer base provides durability and protection for the sensitive internal electronic components as well, and includes an attractive, premium leather strap carrying the B&O PLAY logo. The ability to hold the PLAY A1 in your hand is further complemented by a smooth exterior, a light total weight of 1.3 pounds and pleasing design that you can virtually take with you anywhere you go, despite having excellent durability in this area. There are also two color schemes to choose from, including an elegant natural silver pattern, and a moss green and dark brown pattern, to get the look that you prefer. We’re all aware that packaging isn’t everything, and in terms of audio performance, the A1 has a lot to offer with its 360 stereo sound. If you’ve ever tested a B&O PLAY speaker system, you know that there is a distinct difference between them and other speakers and it relates directly to the Bang & Olufsen team of electrical technicians who are introducing the A1’s 2 x 140 watt speakers. That’s a significant amount of power and it’s backed up with some impressive features, including an Ambient Sound mode that produces full stereo audio with what they call True360 Sound that disperses sound waves in all directions with full volume and bass. The 360 degree sound projection makes it a valuable speaker system in almost any situation, due to the fact that you can prop it up and set it anywhere you wish, while still maintaining high quality audio. This is made possible, first and foremost by the drivers which are designed to produce between 60 and 24,000 Hz sound frequencies, and an aluminum core subwoofer with a magnetic system that allows it to produce glorious low frequency tones down to 60 Hz. 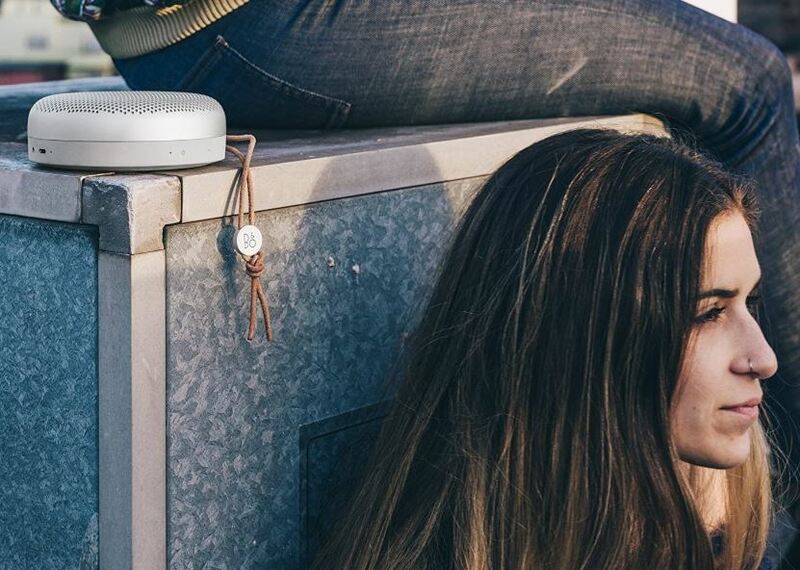 Considering that many smart phones are built with durability and loud speakers, the A1 is actually able to compete with non-portable speaker systems to bring life and creativity to a party, or play your music clearly and audibly through your house. With all of that being said, having huge volume and bass with a light weight and easily manageable and durable construction is well worth the price point, however B&O PLAY has gone a step further by fulfilling the same standards with the A1’s integrated microphone. For starters, it’s omnidirectional so that if you’re on the go and want to answer a call hands free with clear sound, you can achieve the same thing on the other end, whether it’s sitting on your lap or hanging on your backpack by its leather strap. What’s more is that since it works in 360 degrees it also has the ability to recognize the your voice and the direction that it’s coming from and is sensitive to the tone of your speech, to provide clear audio to the person on the other end. This is especially valuable for professionals who place their A1 somewhere in their office or when they’re travelling somewhere, because it’s hands free and easy to use as well, due to the easy to use connection buttons that take you right back where you left off, and allow you to answer and hang up calls easily. 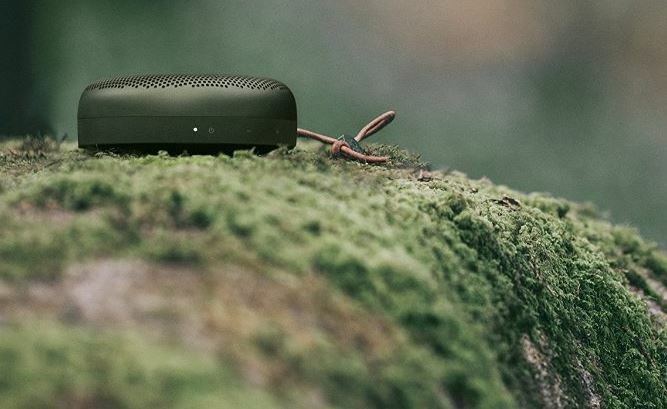 We’ve discussed quite a laundry list of solid features that would put any portable speaker ahead of the game, however since the A1 is wireless, battery life is a major concern, and the battery that BEOPLAY went with is a rechargeable 7.4V 200mAh lithium ion. 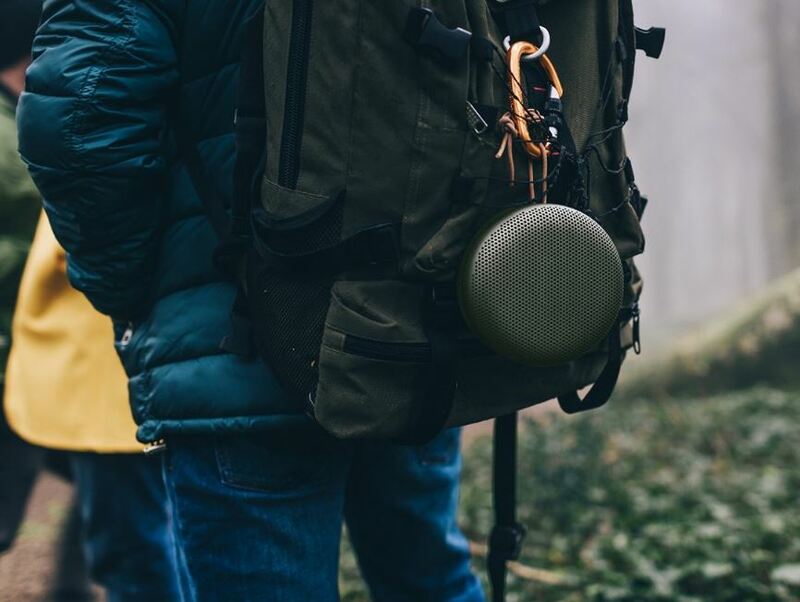 While you will have to charge it for about 2.5 hours, it delivers 24 hours of continuous use on a full charge, whether you’re inside or outdoors giving you more than a full day’s worth of beautiful ambient sound, not to mention access to its advanced features. There’s also an LED indicator built into it that’s easy to see, so that when your battery life is running low you know when to charge it, also providing an easy way to ensure that you’re charging it properly to prolong its lifespan. 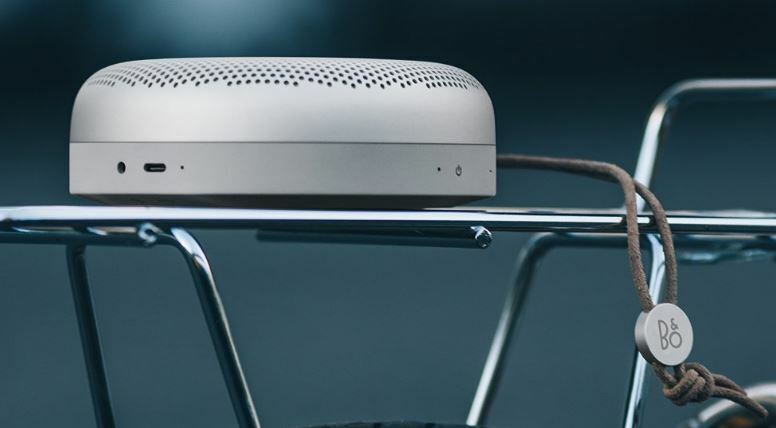 Being able to connect to your favorite devices wirelessly can be as much as a burden as it is a convenience when the technology isn’t up to date or compatible with your devices, which is why B&O PLAY has given considerable attention to this aspect. Being a beautifully crafted and engineered speaker system for the portable market they’ve chosen to use the latest technology in this field, which is Bluetooth 4.2 for faster back and forth data transferring between devices. This not only conserves the battery charge for any mobile devices as well as the A1, but also ensures compatibility with all of your favorite Bluetooth enabled devices. One of the most impressive aspects of the A1 is the ability to sync up with another A1 speaker for a total stereo experience with ambient sounds. Immense 2 x 140 watt speaker power, with volume up and down controls. Answering and hanging up calls. Quick power and Bluetooth on/off controls. 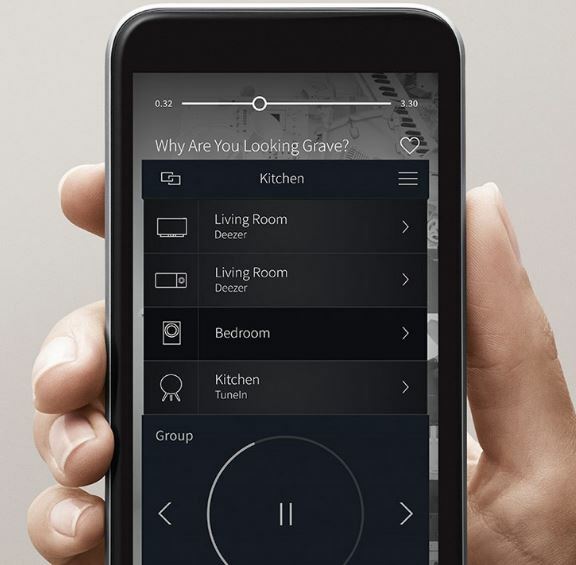 Everything on the A1 is designed to be easy to access and use, including the connect button which instantly activates the last song you were listening to with it, as well as the complementary app. Compatible with both iOS and Android, it allows you to connect and pair devices, such as you smart phone or laptop, as well as fine tune your listening preferences and even update all of your devices so that they’re running on the same software. This also allows you to take advantage of the ToneTouch technology which B&O PLAY has developed to seamlessly adjust the tone and spaciousness of the speaker audio. We mentioned how well designed the B&O PLAY (Bang & Olufsen) A1 is in terms of appearance and durability, however it’s worth noting that while the speaker holes in the aluminum dome will prevent dust and moisture from damaging your equipment, it’s also tough enough to endure a lot of abuse. For a portable system that has so much to offer, it lives up to a lot of quality expectations, most importantly performance, with a long lasting battery, versatile microphone and powerful speakers that stack up to any portable speaker twice its size. 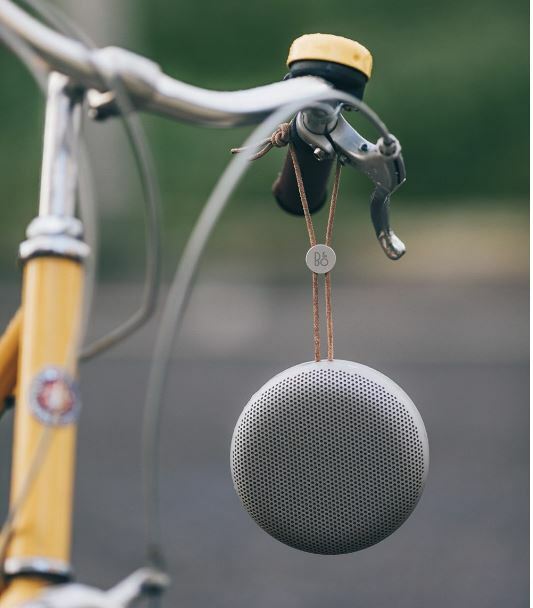 In terms of price the A1 over delivers, however if you’re willing to sacrifice a lot of ease of use, including inferior Bluetooth technology and the simple to use yet robust BEOPLAY app, you also won’t achieve the same level of performance. The most amazing thing about it is its size and weight, being able to store anywhere you choose and also being a welcome addition to both indoor and outdoor environments. The advanced features like the omnidirectional microphone, calling and speaker pairing could be overlooked, however for the professional, who’s willing to spend just a little bit extra, you likely won’t find another portable speaker that serves you as well.